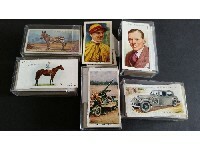 WILLS, part sets, inc. Cinema Stars, Air Raid Precautions, Arms of the British Empire, Association Footballers, DYK, Flags of the Empire, railway, Homeland Events, Speed etc., in modern albums, G to EX, Qty. 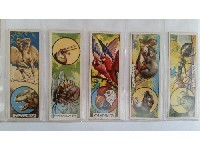 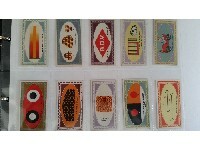 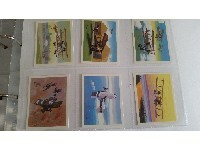 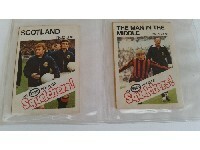 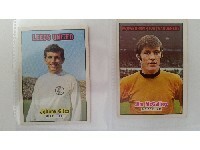 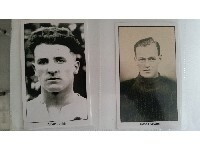 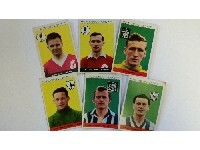 PLAYERS, modern, mainly complete (22), inc. Tom Thumb (9) & Grandee, in two modern albums, VG to EX, Qty. 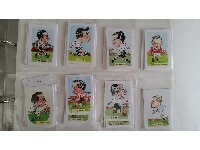 FOOTBALL, Futera Platinum 1st Class, c2001, duplication (some heavy), EX, Qty. 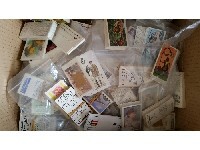 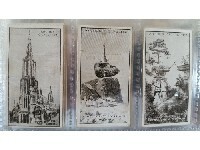 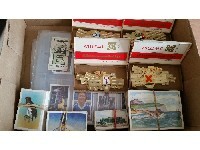 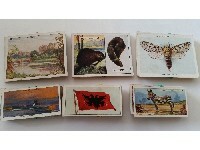 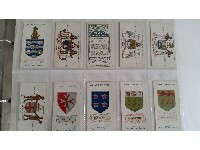 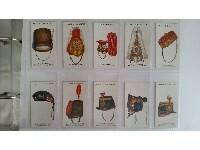 MIXED, part sets, inc. Wills, Beauties - p/c inset (46, Scissors); large, Butterflies & Moths, British Castles; Players, Drum Banners, Fire-Fighting Appliances, AC&DS etc., slight duplication, FR to VG, Qty. 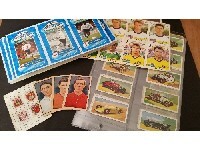 TRADE, mainly complete sets, inc. Weetabix 3-D, Dandy, Anglo The Horse, Mobil Grand Prix, Panini Royal Family, Pro-Set, Topps etc., G to MT, Qty. 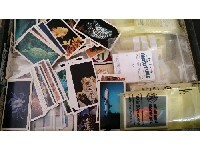 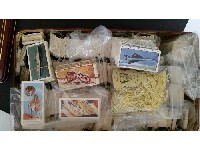 TRADE, complete & parts sets (some near complete), inc. Cavanders, Atlantic, Barratt, Lamberts, Liebig, Sarony, Whitbread, police issues etc., G to EX, Qty. 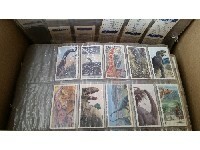 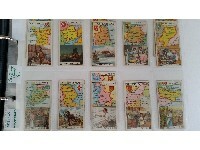 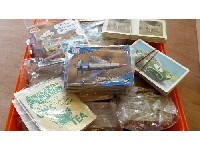 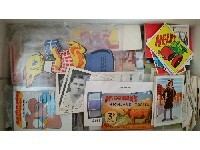 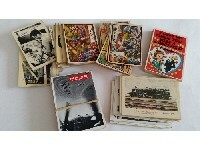 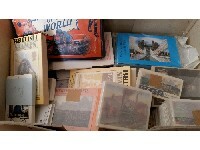 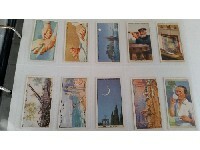 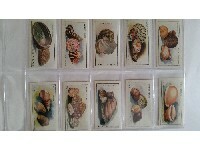 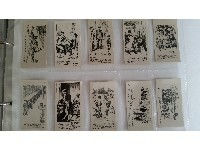 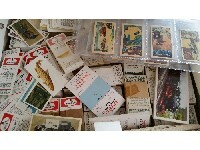 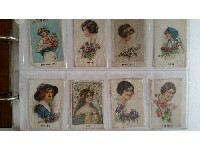 TRADE, mainly part sets, inc. Barratt, Gilbert, Thomson, Wagon Wheels, Panini, police issues etc., a few creased, FR to VG, Qty. 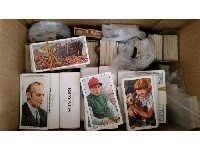 GERMANY, part sets, 1936 Olympics (460), coin cards, Colonies etc., mixed sizes, duplication, FR to VG, Qty. 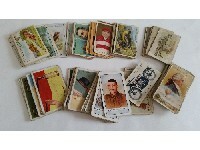 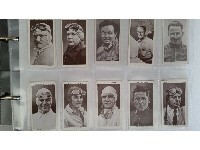 MIXED, mainly complete (16), inc. Phillips, Challis, Lambert & Butler, Players, Gallaher, Wills, Anstie etc., FR to VG, Qty. 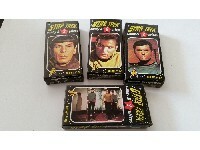 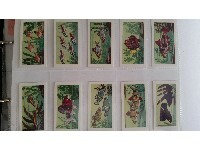 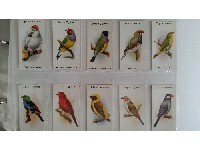 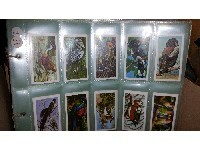 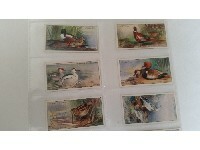 BROOKE BOND, mainly complete (39), some early issues, black backs (18), slight duplication, G to EX, Qty. 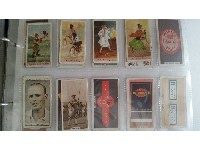 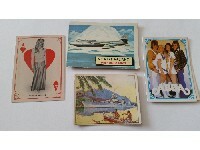 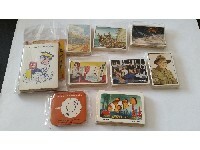 TRADE, part sets & odds, inc. Caramel Chief; Leaf Do You Know?, Sweetule Famous Sports Records, Bassett football, Bucktrout playing cards etc., FR to VG, qty. 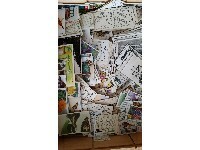 TRADE, complete (56), inc. Church & Dwight, Propert, Tom Thumb, Harden, Twinings, Lyons, BP, Glengettie, Horniman, Ewbank, Sweetule, Jubbly, Kraft, Cadet etc., G to EX, Qty. 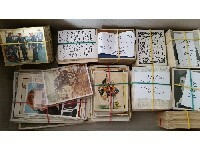 TRADE, complete & part sets, inc. anon Safety First (Oriental); Players, Wild Birds, Film Stars, Birds & their Young; Churchman, Eastern Proverbs, Story of Navigation; Wills, Allied Army Leaders, many Carreras Black Cat (duplication) etc., G to MT, Qty. 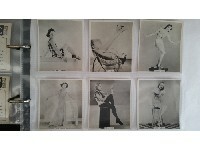 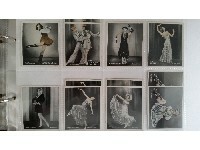 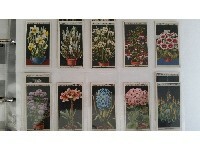 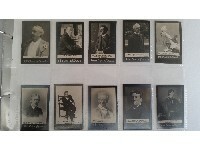 MIXED, mainly part sets, inc. Wills, Players, Carreras, Gallaher etc., in three modern album, P to VG, Qty. 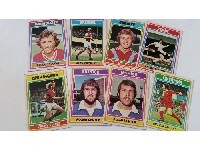 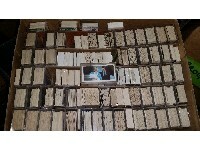 MIXED, part sets & odds, inc. Wills, Players, Pattreiouex, Players etc., FR to VG, qty.